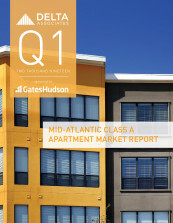 This report includes a summary of the national and regional economies, in-depth analysis of key market indicators, and detailed information on absorption, pipeline, and sales for the Class A Apartment market. 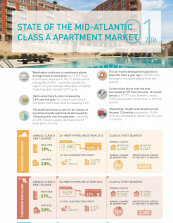 This report includes a summary of the national and regional economies, in-depth analysis of key market indicators, and detailed information on renovations and sales for the Class B Apartment market. 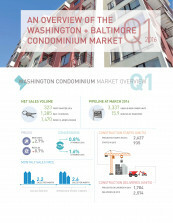 This report includes a summary of the national and regional economies, in-depth analysis of key market indicators, and detailed information on absorption, pipeline, and sales for the Condo market. 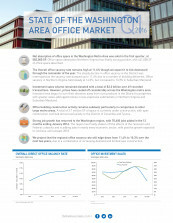 This report includes a summary of the national and regional economies, in-depth analysis of absorption, vacancy, construction, rents, investment sales, investment returns, land sales, an outlook for the office market, and detailed coverage of the major submarkets. 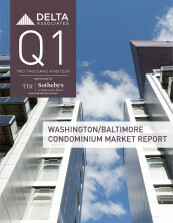 For a sample report, please contact Jennifer Glaser. 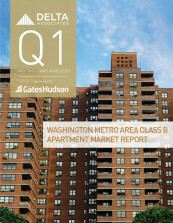 This report includes a summary of the national and regional economies, executive summary of key market indicators, and information on absorption, pipeline, and sales for the Class A Apartment market. 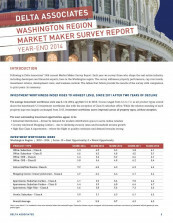 For 22 years now we have surveyed those who shape the real estate industry here in the Washington region, including developers, institutions, and financial experts. 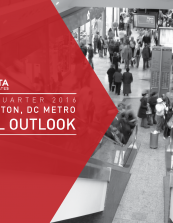 The survey addresses cap rates, cash-on-cost returns, property performance, development costs, investment prospects, and business outlook. 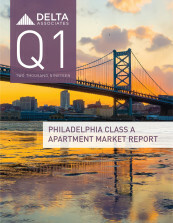 Given the continued demand for such information, we are again making this report available for purchase to friends of the firm. 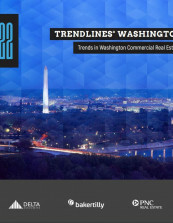 TrendLines®: Trends in Washington Commercial Real Estate is a collaborative publication of the real estate advisors at Delta Associates, Transwestern, and Sage Policy Group. 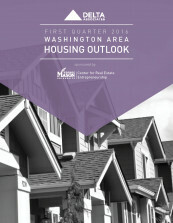 This annual issue is designed to distill the economic trends and shed light on pivotal forces and issues affecting the region's real estate. 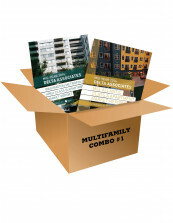 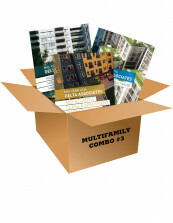 This report covers the major property types - Office, Flex/Industrial, Apartment, Condo, and Retail. 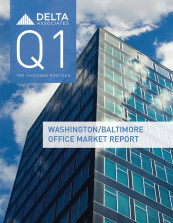 It presents information and analysis on the national and regional economies, cap rates, investor sales, absorption data, rental rate trends, inventory, construction and demand/deliveries comparison. 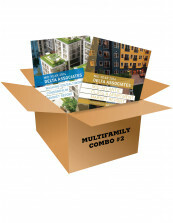 Trendlines 2019 is available electronically only.